U.S. Rep. Beto O'Rourke, D-El Paso, announced Friday that he raised over $2.2 million for his U.S. Senate campaign in the first 45 days of 2018. The massive haul is almost as much as O'Rourke raked in during the previous, twice-as-long period — the fourth quarter of 2017. O'Rourke easily outraised U.S. Sen. Ted Cruz, R-Texas, during that 92-day stretch, $2.4 million to $1.9 million. Cruz has maintained an advantage over O'Rourke in money in the bank, though the gap has been narrowing. O'Rourke did not release his latest cash-on-hand figure Friday, but after the fourth quarter, it was $4.6 million to Cruz's $7.3 million. 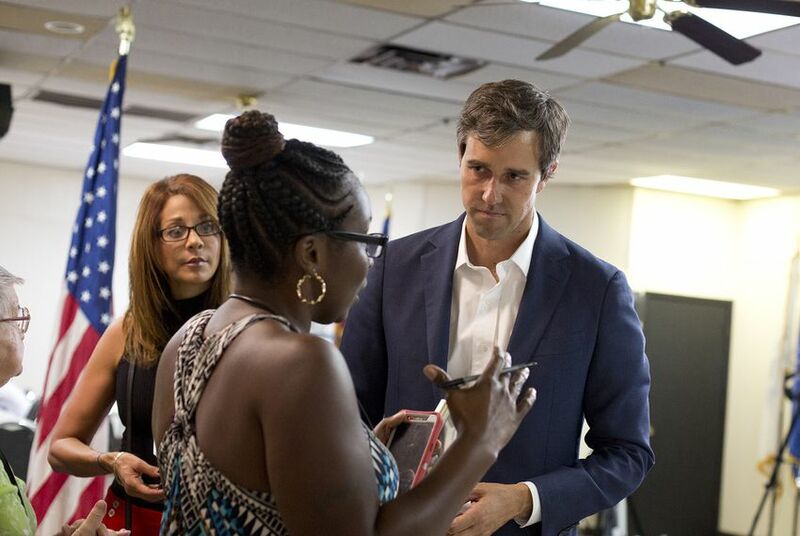 O'Rourke, who is not accepting contributions from political action committees, said Friday that the $2.2 million total came from over 43,000 donations. "This is how we are winning this race, getting our Democracy back and doing something really important for Texas and critical for our country," he said in a statement. Ahead of the March 6 primary, congressional candidates in Texas have until Thursday to disclose to the Federal Election Commission their campaign finances for the first month and a half of this year. Cruz has not released his numbers — but he recently acknowledged O'Rourke's fundraising strength. "It’s true my Democratic opponent is raising a lot of money," Cruz told reporters Saturday in New Braunfels. "We’re not going to take it for granted. That’s a manifestation of the energy on the extreme left."